Here at Applied we stock and supply top quality remote valves that give the operator complete control over the activation and deactivation of the blast pot during operation.This eliminates the need for a second operator to tend the blast pot during operation, thus increasing productivity and reducing costs. 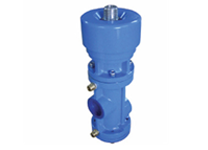 Our control valves are designed and manufactured from lightweight materials with a compact design. 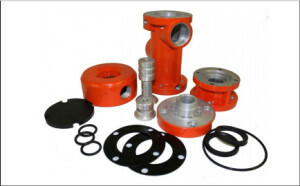 The valves are connected to the sandblaster and a remote control valve is joined using a twinline hose. While the operator holds the blast nozzle holder the pilot air signal bleeds off at the handle, but when the deadmans handle is pressed, the handle closes off the bleed orifice allowing the signal air return back to the blast pot control valve thus activating the blast pot. Spare parts and service kits are available if required. 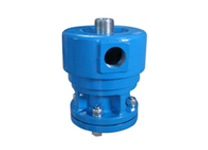 The Applied Helix 50 Exhaust Control Valve is a diaphragm operated air control valve which is used to exhaust the compressed air from the blast pot. 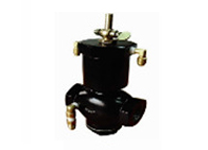 The Applied Helix 100 Inlet Control Valve is a piston operated air control valve which is used to control the compressed supply into the blast pot. 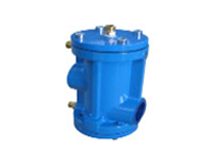 The Applied Helix 150 Inlet Control Valve is a piston operated air control valve which is used to control the compressed supply into the blast pot. 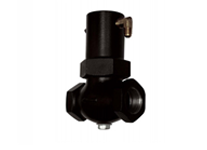 The HiFlo Exhaust Control Valve is a durable, piston operated type valve, designed for use with blast pot remote control systems with Sola type control valves. 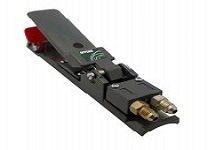 Also known as the Deadmans Handle gives the operator the ability to remotely activate or deactivate the blasting abrasive flow using a pneumatic system. 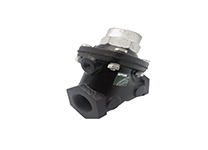 A tough, reliable inlet control valve, designed for use in conjunction with a separate exhaust valve, such as the HiFlo exhaust valve (or similar). 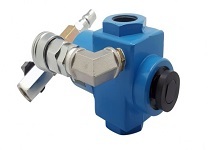 The Applied Tandem Air Control Valve is a rugged, cast iron, pilot operated, spring return diaphragm type valve, designed for use with blast pot remote control systems. 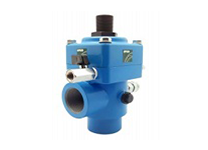 The Applied UniFlo Control Valve is an air operated inlet/outlet valve which is used to control the supply of compressed air into the blast pot.